This is adorable!! Right now on Amazon, you can get this cute Play Circle Kids Neat Home Vacuum Toy Set for Only $17.46! 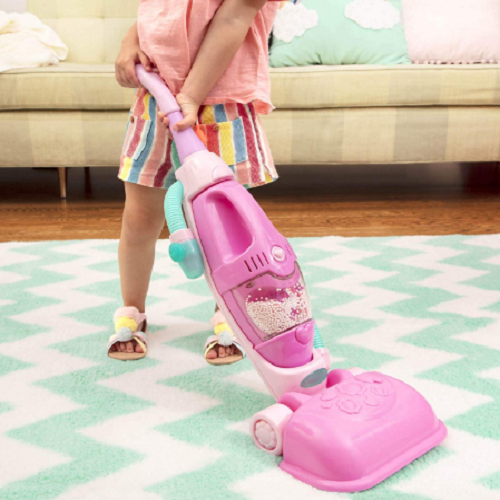 There can be a lot of carpets to clean in an enchanted castle, and what better way to get the job done than with a beautiful pink pretend vacuum? Get every imaginary nook and make-believe cranny spotless with the Home Neat Home 2-in-1 vacuum, which can change between upright and handheld vacuums. Just the right size for just the right cleaners, this play vacuum cleaner is perfectly sized for small hands.